Realising the start-up dream: Yorkshire Care Training Limited has won three awards and grown its business by 750% within the last year. 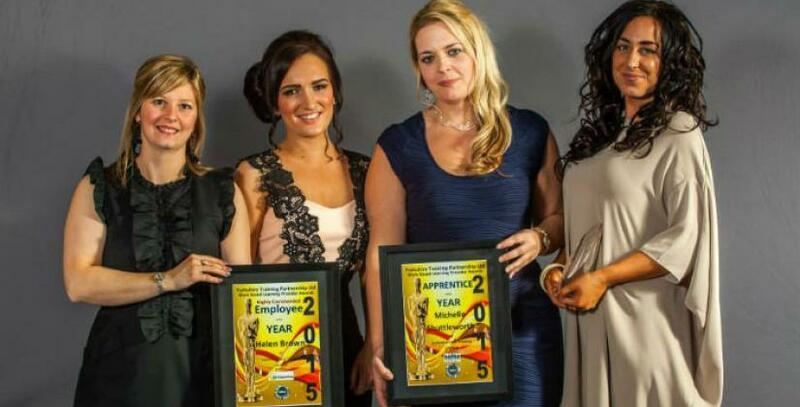 Huge congratulations go to a Yorkshire training provider for recently scooping not one, not two but three awards for its outstanding staff. Yorkshire Care Training Limited, based at our Chamberlain Business Centre in Kingston upon Hull was crowned with the following titles by government funding consortium Yorkshire Training Partnership. To say the company has been successful is an understatement, as these awards have been accompanied by a whopping 750% business growth over the last year. “We are absolutely delighted with the company’s success over the last 12 months! We moved into our Bizspace office last June and have gone from strength to strength ever since,” comments company Director, Sarah Ryder. Sarah and fellow Director, Helen Brown, were previously made redundant as National Vocational Qualification (NVQ) assessors when the organisation they were working for closed down. However, with NVQ assessors in demand, government funding enabled Sarah and Helen to set up their own company, Yorkshire Care Training Limited, offering NVQs in Health & Social Care; Housekeeping; and Team Leading & Management. Sarah recalls: “It was fantastic for Helen and I to shape a company exactly how we wanted. In our previous employment we encountered a lot of bureaucracy when it came to making improvements. With our own business we could implement best practice and make changes quickly. “After two years of operating from my dining room, work started taking over my whole house and we realised it was impractical. We needed a more professional office space for our learners to see us. “Bizspace was the perfect choice. The Chamberlain Business Centre has a fantastic central location which was round the corner from where I live. We took out a 294 sq. ft. space, two units with an interconnecting door; one room for me and Helen to work in and we use the other for meetings. The office space was affordable, which as a start-up was really important, plus it has free car parking facilities which is perfect for our learners who visit the office regularly. Sarah and Helen have created a culture of best practice within Yorkshire Care Training and put in place systems that have formed a solid foundation for the company’s success and business growth. Working together as NVQ assessors, both company directors, Sarah and Helen had often talked about what they would do if they owned their own care home and that dream is now becoming a reality as the pair are planning to buy a care home next year. Sarah says: “We heard so many negative stories about care homes on the news and on TV. Helen and I would say: ‘If that was my care home I would do this…’ Now, we have decided to put all our experience and learning of best practice in adult social care into action, by creating a care home with the highest possible standards. Whether you are a start-up business looking for professional office space or an entrepreneur that simply needs a business address, the Chamberlain Business Centre offers a range of options including mailboxes, managed offices, industrial units and storage space. Business facilities such as free car parking, 24-hour access and an onsite reception and café are all available at this centre. To find out more contact business centre manager Gillian Stockdale on 01482 214 770.